European experts have called for frail patients to have tailored cardiac rehabilitation programmes in a paper published in the European Journal of Preventive Cardiology. Frailty is a vulnerable state in older people. It is common, occurring in 30–50% of people over 75 years of age. Patients have low physiological reserves and their organs do not function at full capacity. They use a greater proportion of their reserves to survive and small events can lead to deterioration, disability, cardiovascular events, and death. Frailty has important prognostic significance, and predicts poorer outcome in those with coronary artery disease or heart failure, and after cardiac surgery or transcatheter aortic valve replacement. Cardiac rehabilitation programmes aim to prevent second heart attacks or other cardiovascular complications in patients with heart problems. They include exercise, education on healthy lifestyle, and control of risk factors such as high cholesterol and high blood pressure. About one-third of patients referred for cardiac rehabilitation are older than 75 years—frailty may therefore be fairly common in this population but it is not systematically assessed. 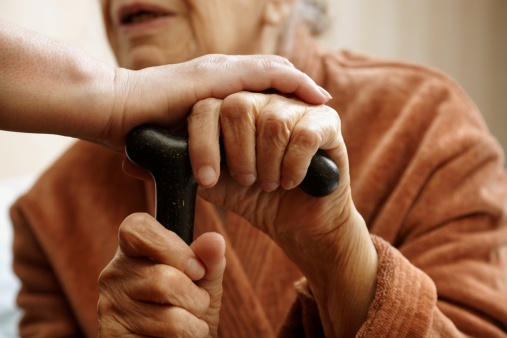 Measure frailty and its severity in elderly patients. Tailor cardiac rehabilitation programmes to frailty level. Evaluate the impact of tailored programmes on disability, quality of life, and mortality. The paper recommends two methods for assessing frailty that are quick and easy to perform. “They can be used by any health professional, such as a cardiologist, nurse, allied health professional or medical student, and contribute to a broader evaluation of the patient,” said Professor Vigorito. Cardiac rehabilitation programmes can be tailored to frailty level in a number of ways. Standard programmes are based on endurance exercise, but frail patients usually have sarcopenia (reduction of skeletal muscle mass and strength) and are more likely to benefit from strength exercises. When patients are able to walk they could start endurance exercise. Nutrition is a more important part of rehabilitation in frail patients than in younger, fitter patients. Medications need extra attention due to iatrogenic risk.